The Chicago Debate League is very proud to announce that Whitney Young’s Marcel Roman and Hanna Nasser won the 2012 Illinois High School Association Varsity Debate Championship. They defeated two of the top 15 or so teams in the country to win state — Glenbrook South’s top team in the semi-finals and Glenbrook North’s top team in the final round. CDL teams have been close a number of times in the recent past, but this is the first time a CDL team has ever won the IHSA Debate Championship. The CDL also had three IHSA All-State Debate Team selections: Marcel Roman, Hanna Nasser and Northside College Prep’s Tom Trieu. And at the Illinois Communications and Theatre Association JV State Championship, Martin Luther King, Jr., College Prep’s Hakeem Muhammad and Adam Glover advanced to the semi-final round, once again defeating a series of suburban powerhouses, to end up the 3rd best JV team in the state. In the ICTA Novice State Championship, Northside College Prep’s Sam Roth and Honglin Xiao reached the quarter-finals and Lane Tech College Prep’s Angelica Soto and Regina Manalo advanced to the octo-finals. The CDL more than made its mark at the Illinois state debate championships this month — you could say that we made history. We’re now headed into our final regular debate tournament of the 2011/12 school year, T6, the 2012 Allstate CPS Chicago Debate Championship. 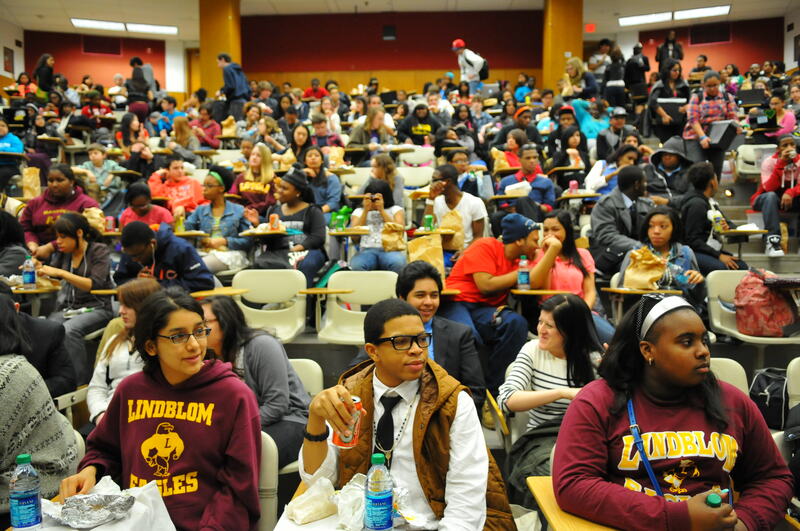 What relevance do the IHSA and ICTA state tournaments have to the Chicago Debate Championship? One answer is none. At every debate tournament every team starts with the same competitive record, 0-0, and no one’s prior awards have any relevance to the current tournament. The work debaters do in advance of the event, and their in-round performance, combine to determine the outcome of each debate round, fresh each time, in a sense. It might be that the CDL teams that did well at the Illinois state debate tournaments have a bit of an external “rep” to live up to — and the rest of the CDL might aim to make a claim to their own mettle by trying to best these teams head-to-head. Another answer connects to the unique inter-conference, citywide structure of this tournament. At T6 teams from across the city, and from the full range of experience levels, debate together, with only two divisions, JV and Varsity, separating students. When creating the conference structure years ago, the CDL administration (formed by the partnership between CPS and the CDC) was adamant about there being one competition during the regular season that is citywide, involving all schools in the CDL, so that styles, arguments, strategies could come together, and that successful practices, wherever they are to be found in the city, get circulated throughout our League. 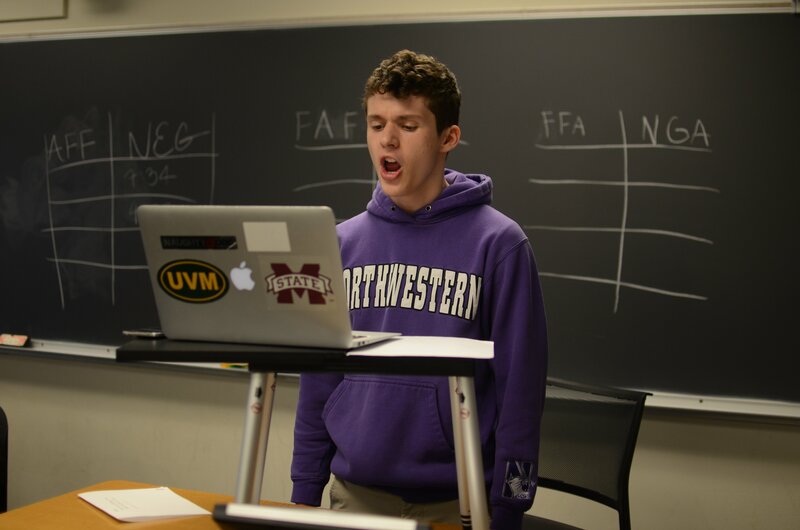 We are all part of one Chicago Debate League, despite debating most of the time within our conferences, all fellow members of a debate community within which each member is afforded the same basic respect as a competitor and a peer. The Chicago Debate Championship is our collective reminder that we are one — and coaches should impress this message on their debaters some time between now and Round I on Friday. But as a result of it being inter-conference, this event will be the most challenging of the year for most of our schools. RCC and some LCC teams have experience debating in the regional and national debate circuits, and they’ll bring that experience to T6. “AA” and “A” conference teams should view T6 as an exciting test, pushing debaters past what they’ve yet experienced in debate, perhaps past their comfort levels, but likely eliciting strengths they didn’t know they had, thinking and arguing as hard and as well as they can. Winning whenever they can, too, of course. And learning a tremendous amount about what other kinds of debate — in style, in argument, in strategy — exist within our city, conducted by students similar to themselves, part of the same public school system they are in, and with debate budgets that are largely the same as at their schools. T6 is a singularly competitive, and a singularly educational, event on our season calendar. Fitting culmination of our season.